LA soul singer Gallant is building up a serious head of steam* thanks to a slew of sweeping, symphonic R&B songs, inspired by everyone from D'Angelo to Janet. Blessed with a celestial voice, he sets himself apart by shoving dirty great synth lines all over his music. The result will make your stomach plunge. But in a pleasurable way, like going over a speedbump. His new single Weight in Gold was Zane Lowe's first ever "Future Exclusive" (a tautology if ever I've heard one) the other night. Since then, it's racked up 214,000 Soundcloud streams, suggesting the switch from Radio 1 hasn't diminished Lowe's status as a kingmaker. 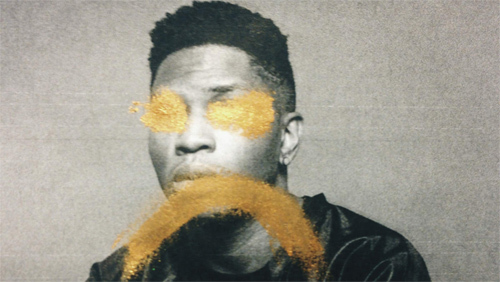 If you like that, you should check out Gallant's previous singles, Talking in Your Sleep, Open Up, and his cover of Foo Fighters' Learn to Fly. * Not literally, that would be painful.